E3a) Ultra bubbles concentrate. 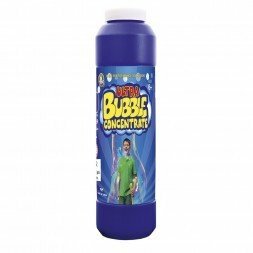 Uncle bubble original 12oz for 1 gallon (3,8L). Special bubble formulation what I use for my indoor shows. Uncle bubble, ultra bubble concentrate! Big bottle with 12fl oz for making 1 gallon(3,8L) ready-to-use-soap. Especially designed for professional indoor bubble shows.